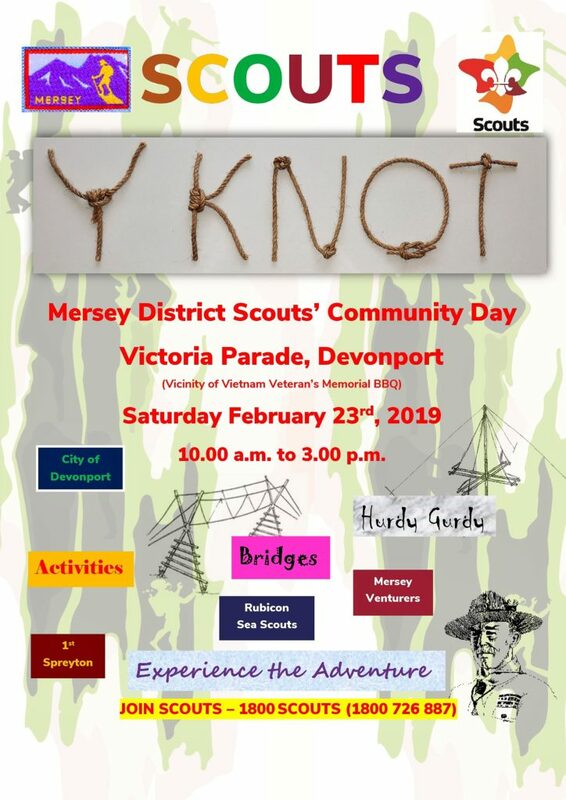 Mersey District Scout Groups are holding a Community Day on February 23rd, from 10am to 3pm. The aim is to give the public an insight into Scouting activities available in the Devonport area, attract new members and of course new Leaders! There will be activities during the day that all attendees can be participate in.